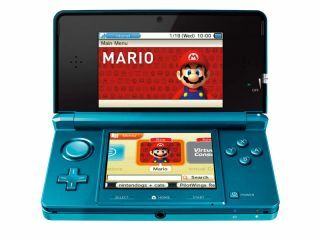 Nintendo president Satoru Iwata has admitted concern over 3DS sales and thinks the company needs to work harder to win over the gaming public regarding the usefulness of the device. Iwata-san was speaking after yesterday's earnings call which saw Nintendo post sales of 3.6m units, which fell short of the 4m it had expected from the initial launch period. "Sales of the 3DS have been weaker than expected since the second week and this is not just in the Japanese market but also in the United States and Europe, where no direct impact from the great earthquake has occurred," he said. "Therefore, we recognize that we are in a situation where we need to step up our efforts to further promote the spread of Nintendo 3DS." Iwata reckons that Nintendo haven't yet won over the public with its glasses-less 3D technology and thinks that the demo booths in store aren't giving users the best experience of the device. "The value of 3D images without the need for special glasses is hard to be understood through the existing media. "However, we have found that people cannot feel it just by trying out a device, rather, some might even misestimate it when experiencing the images in an improper fashion,"
The president added that the company perhaps hasn't given gamers the impression that they must have this device right away, with some waiting for a higher profile line-up of software before taking the plunge. He admitted: "There aren't yet so many people who are absolutely sure that now is the time to buy it. "Some people may be waiting, thinking that there aren't yet enough software titles that they want to play." Iwata also said that Nintendo needs to make more of the device's other 3D elements, like the 3D cameras and the opportunity to watch 3D movies on the screen. Nintendo is relying on the 3DS to be a huge cash cow during 2011 to resurrect the profits that have been on the slide since the Wii passed its peak.